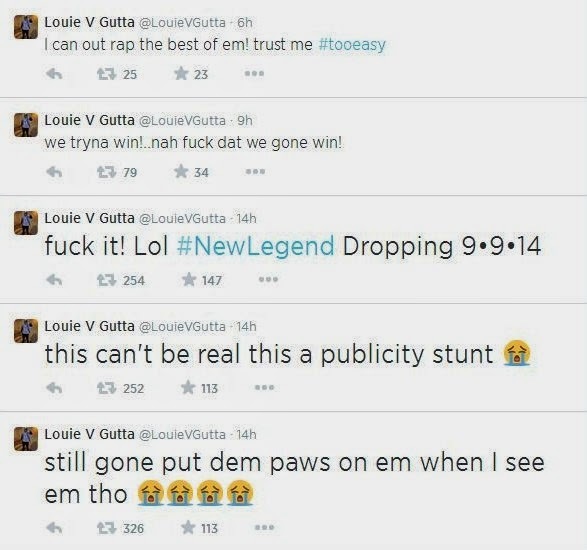 After Meek Mill took to Twitter to air out his thoughts on Wale and how he believes him to be a "hater," Louie V. Gutta hopped on Twitter and took shots at Meek for being too emotional. Gutta, who previously exchanged words with Meek Mill over the Slowbucks chain snatching at Hot 97's Summer Jam, responded directly to one of Meek's tweets regarding the Wale situation. Louie was quick to send the shade as he called him "Meeka," implying that Meek Mill was acting like a girl, and also called him a "b*tch" and a "p*ssy" afterward. 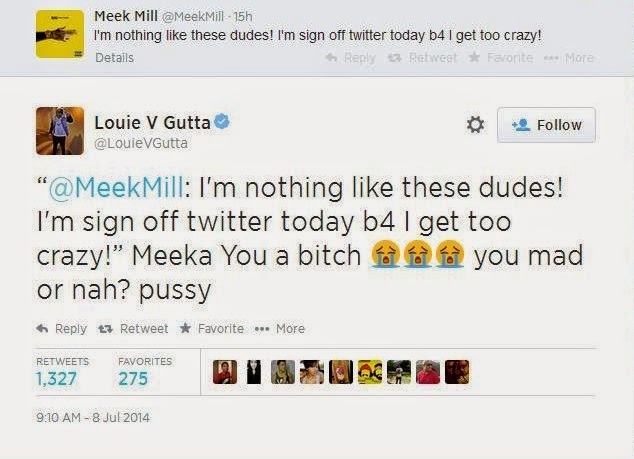 Meek took notice of Louie's jabs and responded by tweeting, "You would b in heaven on the first thing smoking! Lol RT @LouieVGutta: still gone put dem paws on em when I see em tho." 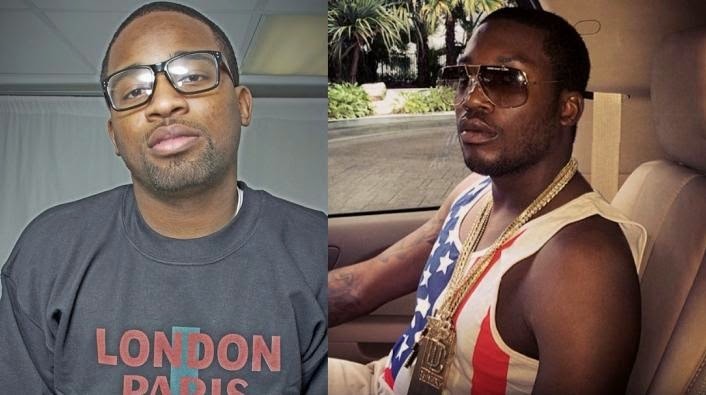 While Meek and Louie's exchange carried a slight playful tone, Louie did clarify that while he "got luv 4 bul," he also feels Meek has "been showin' his tru colors & actin like a hoe lately." Louie later trolled Meek by saying that he'll be releasing his New Legend mixtape on the same day as Meek's Dreams Are Worth More Than Money album. 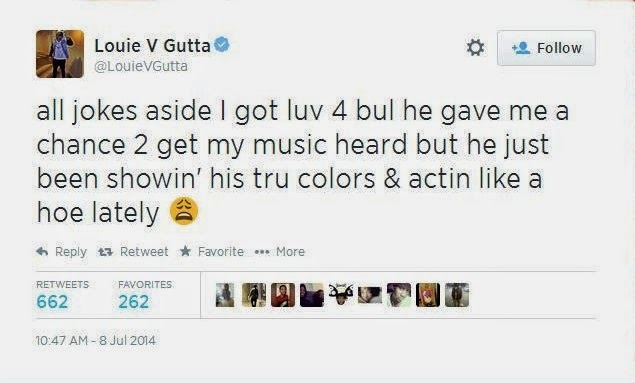 Check out what Louie V. Gutta had to say about Meek Mill above.